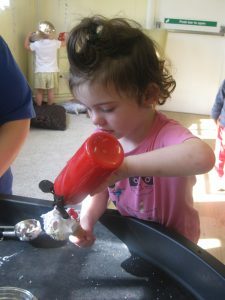 A Summer of fun at Grace Dieu Nursery! 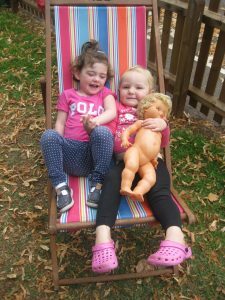 It has certainly been a summer of fun at Grace Dieu Nursery. 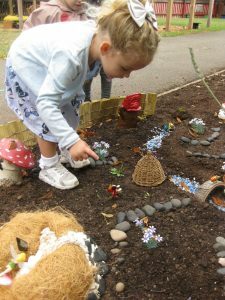 Open all year round, the Nursery has been busy whilst the School is off on holiday! 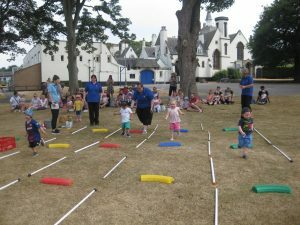 The Summer highlight (for parents and staff) was Sports Day. There was an amazing turnout of parents; all keen to see their children enjoy their first Sports Day (as well as take part in a few races themselves!). 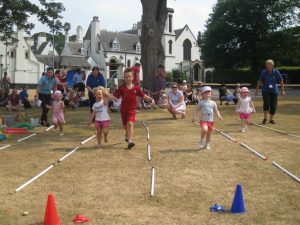 The children were amazing – having practised the races beforehand, they knew just what to do and really enjoyed taking part. The running races were a favourite – but so too was the water race! 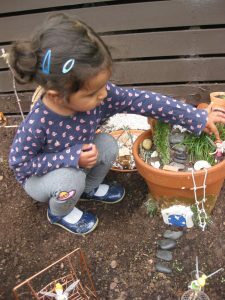 The children enjoyed a new addition to our garden – a surprise fairy garden made by Andrea! Very magical and lots of fun. 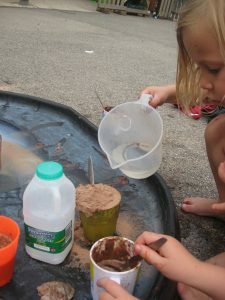 We also hosted a Beach Party week – with a variety of different activities for the children to enjoy. 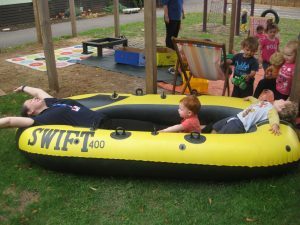 The rubber dingy play was very popular, as well as creating ‘beach huts’ and taking some time out for a bit of deck chair relaxation! 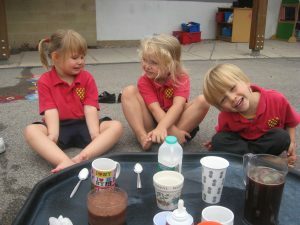 Our Cygnets have been busy playing and learning – they asked if they could have their own coffee shop and have experimented with creating their own drinks! They descriptive language, measured and estimated, mixed colours and made marks using their bodies! They loved role-playing in their coffee shop! 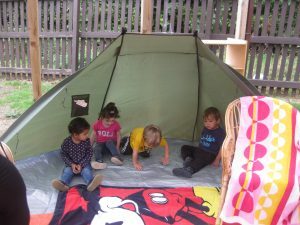 Forest School sessions have taken place throughout the summer – with children enjoying their trip into the forest to take part in a range of activities. 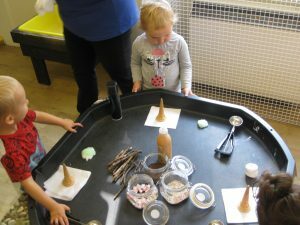 A particular favourite was making boats from apples! 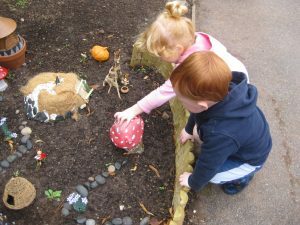 The fun hasn’t all been outside – even though we’ve enjoyed glorious weather to be in the Nursery garden, as well as exploring the 120 acres of School grounds. 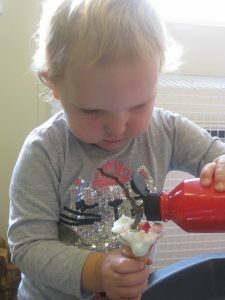 The children particularly enjoyed making ice creams from shaving foam! 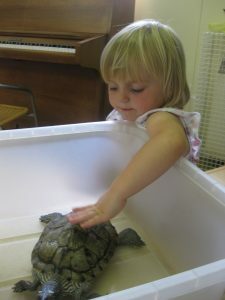 We love animals at Grace Dieu Nursery – not only do we have the Alpacas and chickens to visit – this summer Nicky brought her turtles in for a visit. The children really enjoyed meeting Rose & Axel!